For starters, the simplest type of Goods in Transit insurance is called Tools in Transit and is designed for a contractor carrying his own tools in the back of his van. Theft of tools is very common and the cheaper insurance policies will often exclude all losses overnight unless the van is locked inside a garage. At Prizm Solutions can offer a number of alternatives, which although initially may be more expensive, actually provide cover 24/7 irrespective of whether you’d parked on your drive at home or in a car park in Toxteth or Handsworth. Similar (Own Goods) Goods in Transit polices are available for most types of retailers who carry goods to and from the warehouse, to their premises, to the customers etc. 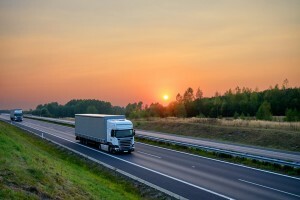 The premium for this type of policy is linked to the number of vehicles that need to be insured, the type of goods being carried and where the business is based. If you’re a haulier you will be responsible for the goods you’re carrying on behalf of your clients. The goods will usually be carried subject to your contract conditions, the most common of which are CMR, RHA and FTA. Your policy will be structured around your terms and conditions so please ensure that your customers are aware, because any claims will be settled in accordance with whatever the limit per tonne your conditions stipulate. Another type of Goods in Transit insurance involves goods you own and/or responsible for being transported anywhere across the globe. This is commonly known as Marine Cargo insurance and covers goods being carried by hauliers, rail, air and ship and is a core cover for both importers and exporters. Marine Cargo Goods in Transit insurance is the oldest form of insurance and dates back to Lloyds’ Coffee House in the 17th Century where merchants and ship-owners insured their ships and their cargos. Amazingly it is quite often one of the most traditional insurances to arrange as the premiums are usually determined by individuals rather than computer systems! Premiums for Marine Cargo insurance are linked to the value of goods being transported, the location where they are being transported to and from and the nature of the goods themselves, as high risk loads obviously attract higher premiums. This type of policy will also cover goods which are being transported and in storage, wherever they are in the world, including within the UK. This is known as Stock Throughput insurance and is often a very cheap way of insuring goods imported into the UK. Marine Cargo insurance is also based on the terms and conditions that the goods are sold and shipped under – the common examples include FOB, CIF, EXW and CFR but please check carefully as the insurance policy has to be arranged on the same basis as the sale terms, else the goods may become uninsured during the course of the voyage. A Marine Cargo insurance policy can also cover damage caused by war, strikes and terrorism, piracy, heavy weather, salvage charges, as well as the more common causes of loss such as accidental breakage, theft and shortfalls. One final observation is that we often get told by prospective clients is that the insurance on their goods is being arranged by the freight forwarder and/or the haulier, to which our response is always – do you really want to delegate any claim for any damage to your goods to a third party…? This type of insurance is not expensive so why not have your own policy and be in control of any claim! As you can see we are true insurance experts. We always gather all the facts before we suggest a Goods in Transit insurance policy or Marine Cargo insurance policy to make sure you are properly covered. The premium may cost more or less than your current policy but you will be confident that you are properly insured. So please get in touch and we will provide you with a quotation without delay.